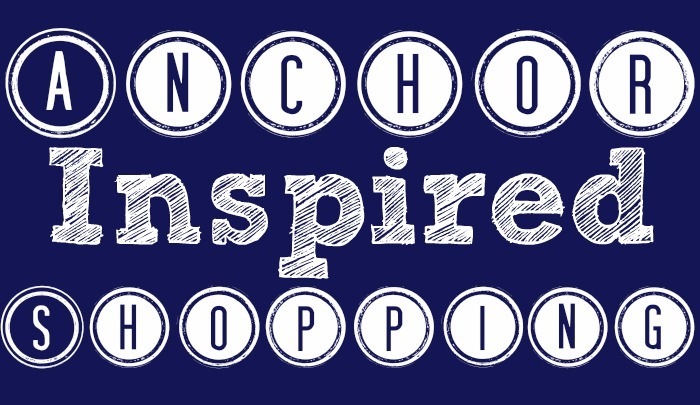 You are here: Home / DIY & Crafts / Nautical Round Up #2 – Shopping for Anchors! Nautical Round Up #2 – Shopping for Anchors! I’m not sure if this is good or bad, but my love of shopping equals my love of tackling projects myself. I had so much fun picking out the Nautical DIY Projects to share with you last week, that I decided to see what kind of affordable nautical items were available to purchase. There were so many options! I was able to focus on my favorite nautical image – the anchor. I was really surprised with how many items I found that were reasonably priced. Four of them are under $10! *Products are affiliate links, so I may receive a small commission if you purchase any of the items after clicking on them. If you prefer to always DIY it, make sure you check out the Nautical Decor Project Round Up! Love this round up of nautical stuff, I’m doing my boys room in a nautical theme I just love it so much. Lauren from The Thinking Closet did a great job with her room, it really looks beautiful.